The June meeting of the HPMS was called to order on 4 June at 7:00 P.M. There were 17 attendees. 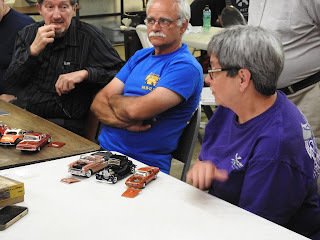 Tom Clark verified that notice of our show and contest in August would appear in Fine Scale Modeler and Scale Auto. Our notice will also appear IPMS Journal. Discussion regarding the 25 August show and contest was brought to the table. The awards for this year will be then same as last year, medallions and special trophies for the best of show categories. The question of a a rule change was brought up. Basically the change would mean that a model that has won an award in our contest in a previous year could not enter the contest in the following year. I am not sure what the final outcome of this discussion was. 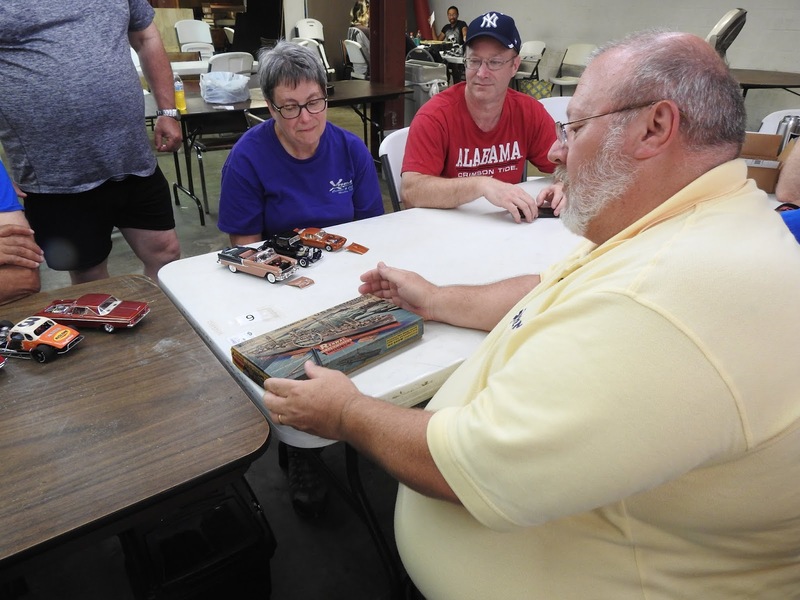 The subject of a club pin was brought to the floor for either use at the 2019 IPMS national convention and at our show and contest. I believe this would replace our current name plates. Tom Clark said he would on investigate what is available and the price. 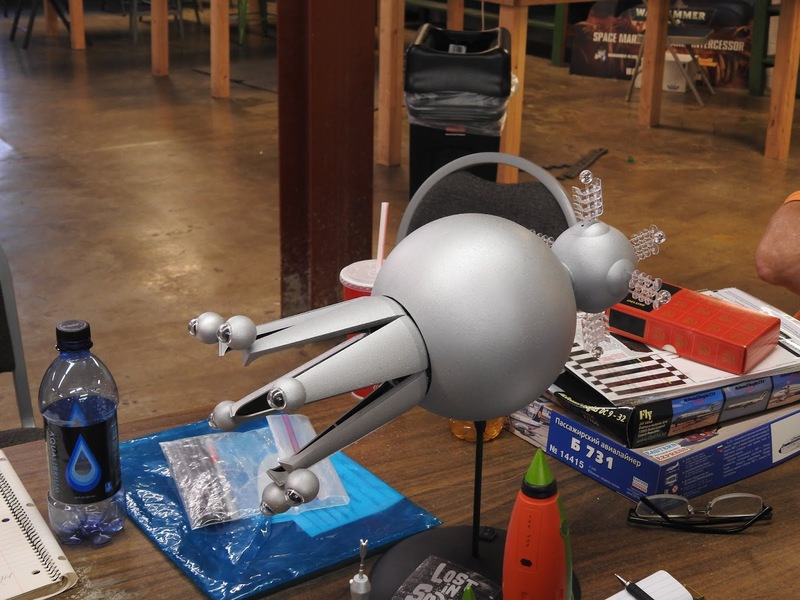 The subject of participation the Hamacon event in Huntsville was brought to the table. At that time the Hamacon had not contacted the chapter and we had not contacted them. Since our meeting E-mails have appeared and some members of the chapter will conduct a 'make-and-take' on Saturday. There will no chapter display on the show floor. The IPMS National Convention is 1 thru 5 August in Phoenix, Arizona. 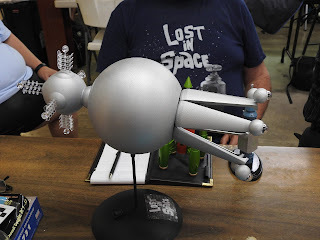 The June build night is 18 June, 6:00 to 8:00 P.M. at The Deep Comic Book and Game store. Jerry Slaughter - Renwal 1/500th scale Attack Cargo Ship(AKA). Building to be the U.S.S. Cepheus for a friend whose father served on the U.S.S. Cepheus in World War II, will present to the family when finished. 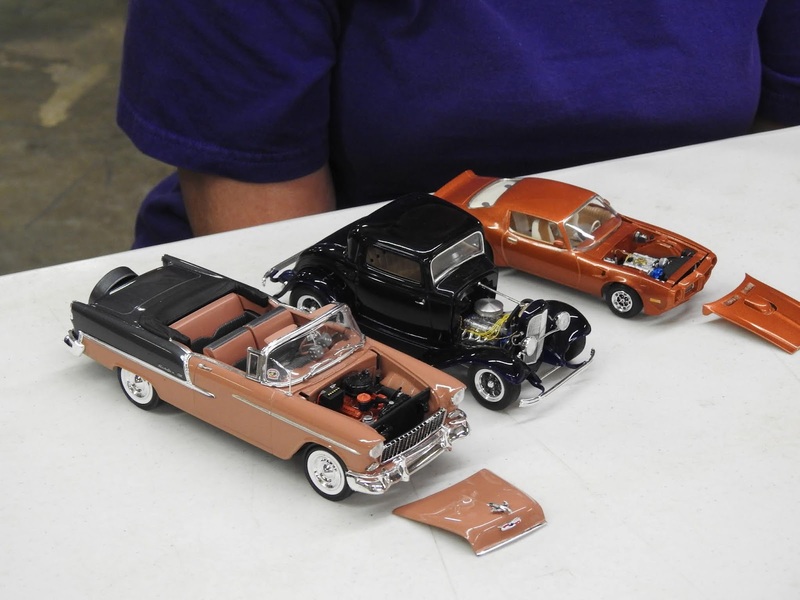 Barb Denza - 1/25th scale 1955 Chevy Bel Air Convertible, 1932 Ford 3 Window Coupe, and 1/32nd scale 1971 Trans Am street machine. 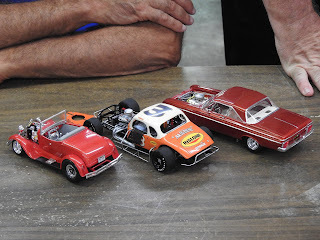 These models were detailed, plumbed, wired, fuel lines, bare metal foil, battery cables, and seat belts. Ken Denza - 1/25th scale 1964 Plymouth Belvedere(Pro Street), 1937 Chevy Modified, and 1929 Ford(Pro Street). 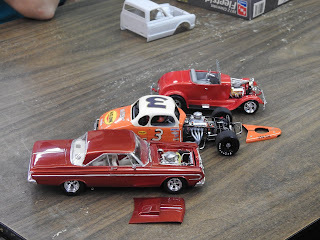 These were detailed with wired engines, chassis modifications, bare metal foil on the Belvedere, scratch built crash bar on the modified, and added seat belts. 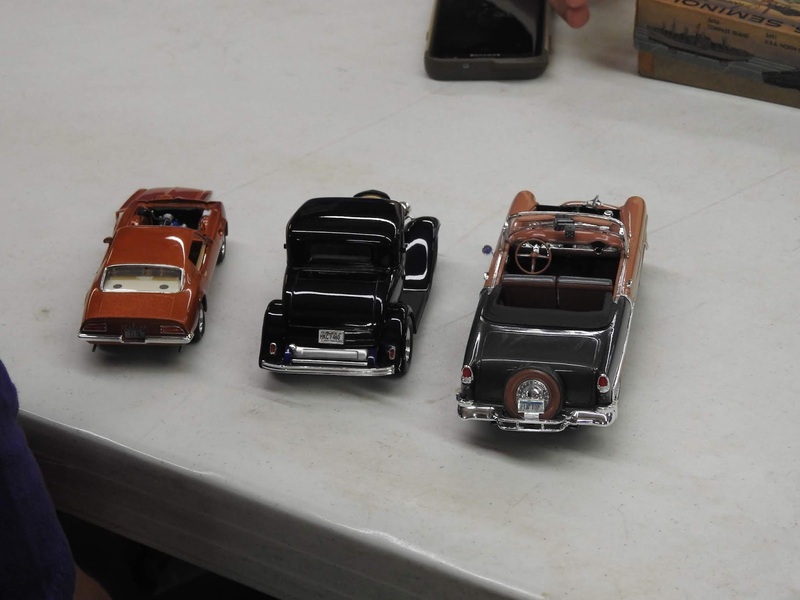 All models are clear coated and polished. 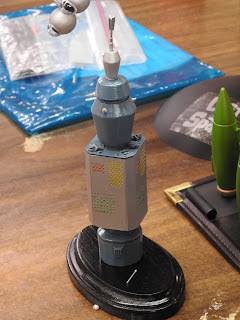 Tom Clark - 1/144 scale Rocinante and 1/72nd scale XRV from Fantastic Plastic. The Rocinante is a space craft from the TV show "The Expanse" and the XRV is a kit of the filming model from the old movie "Marooned". The actual filming model from Marooned is on display at the Space & Rocket Center. 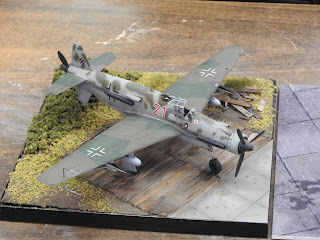 Eli Geher - 1/72nd scale S.I.P.A 10 (Arado 396) now complete. This is a Huma kit of the Arado with minor changes to convert it to a postwar French training aircraft. Scott Jeffery - 1/48th scale vacuform kit of a CA.135 bis. This was a Panacea model, had an E-Bay search set up for about 5 years, finally found one. This will be a challenging kit to build. 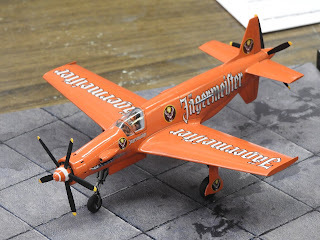 Bill Nichols - 1/72nd DML DO-335 Nightfighter and a 1/72nd scale Hobby Boss DO-335. 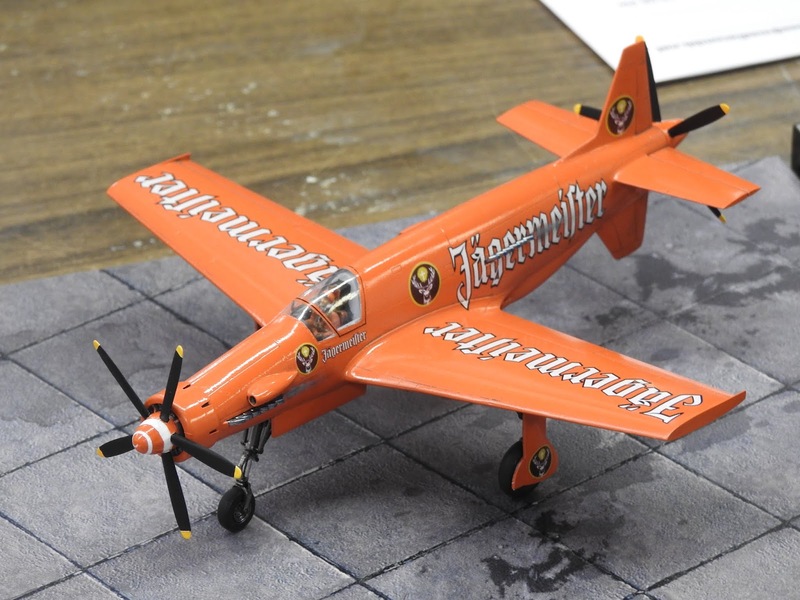 The DML DO-335 modified with extended wings for high altitude nightfighter variant. The Hobby Boss DO-335 is an "what if" extensively modified into a 'Reno air racer'. Bruce O'Gorman - 1/350 scale Mobeus completed 'Lost in Space' derelict space craft with interior and exterior lighting. Completed 1/72nd scale Apollo 27 for the Chattanooga build. Star Trek Nomad, almost completed, but antenna keeps breaking off, the next step is to suspend it over a stand. Martin Burkey - Decal sheets from Thomas Models for adversary aircraft. 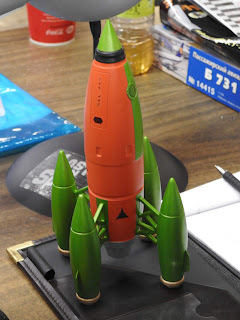 Supermodels vinyl model rocket "skin" and resin. Two kits, 1/144 scale Eastern Express 737-100 and Fly Models MD DC-9-32, this aircraft was operated by NASA. The May 2018 meeting of the HPMS was called to order at 7:00 P.M. on 7 May. There were 14 attendees. There were two members of the chapter who said that they were not on the google groups and had not appeared to have been sent a google groups invitation. The E-mails of these individuals were taken and will be passed on to Tom Clark for verification. The chapter will use table risers during our show and contest. 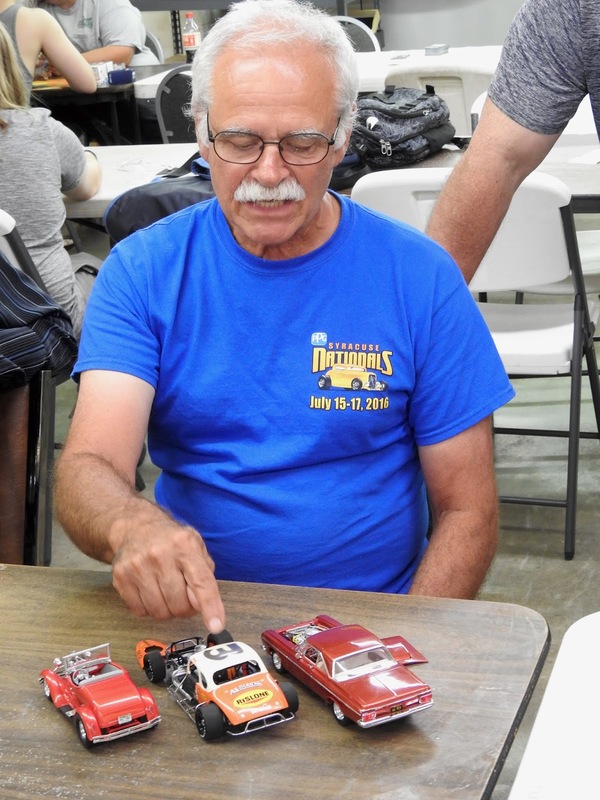 Dave Lanteigne was not at the May meeting, the question of a current chapter roster remains open. 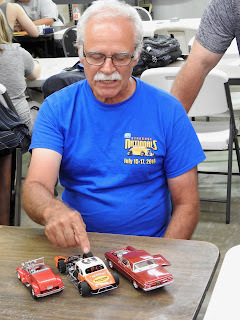 Tom Clark was not at the May meeting, but he did send out an E-mail update regarding the notice of the chapter show and contest in August to appear in Fine Scale Modeler and Scale Auto. He is also working with IPMS Journal about our quarter page ad. 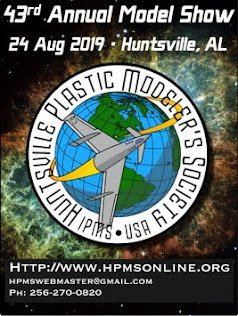 The IPMS Knoxville, Tennessee was discussed, people from the chapter are going and information is such that there will good vendor tables. The build night for May will 21 May, Monday, 6:00 - 8:00 P.M. at the Deep Comic Book and Games store. Eli Geher - 1/72nd scale SIPA S.10 (French). This is modified from a kit of Arado 396 (German). 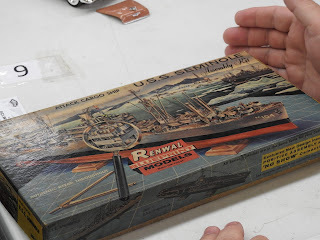 Curt Haskell - Alliance Models steampunk submarine, box & stock; Industria Mechanika knight, knight in progress. 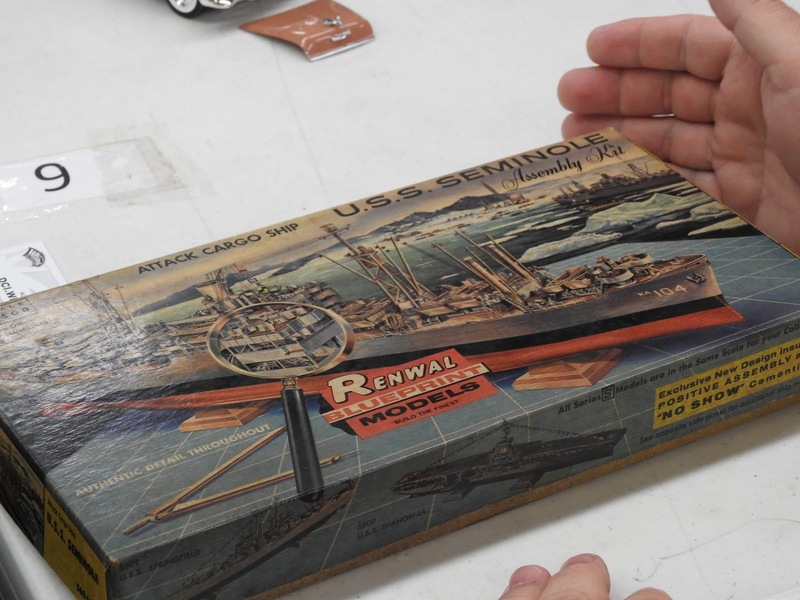 Skip Hassler - 1/72nd scale Revell Elco 80' PT boat kits. One is an older issue kit in the original box, the other is a newer kit with detail improvements. 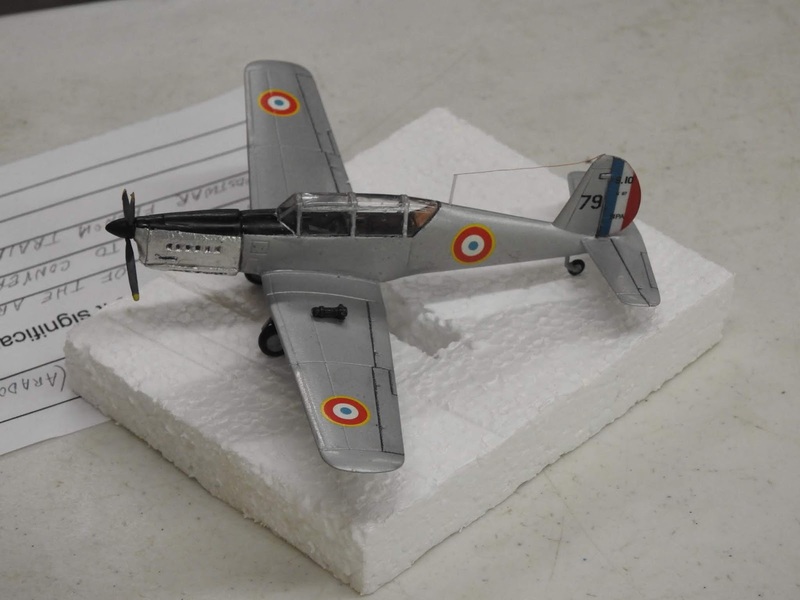 Robert Osborne - 1/48th scale Classic Airframe WWII Italian RE-2001 fighter. 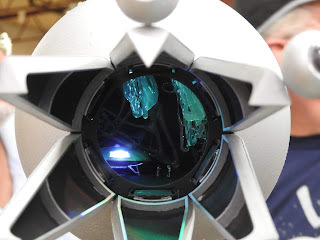 Dan Thompson - 1/144 scale Thanagarian Star Cruiser. The basic kit the Pegasus Apollo 27 kit much modified. Ed Kiker - Kits and other items to show, give away, or sell. 1/25th scale 1957 Ford, free and complete; 1/25th scale 1966 Chevy Fleetwood pick-up truck, free, cab only, no frame; Gigantic scorpion kit to sell; Kit box from Mongram, kit-box-scale, original plastic, B-26 Invader, free; Spaceship Two kit to sell; Pin-up Army girls for show. Bill Nichols - 1/72nd Tamiya DeHavilland Mosquito Mk. VI. in a diorama. Markings are for "Wag's War Wagon" pilot achieved ace status over both German and Japanese aircraft during WW II. 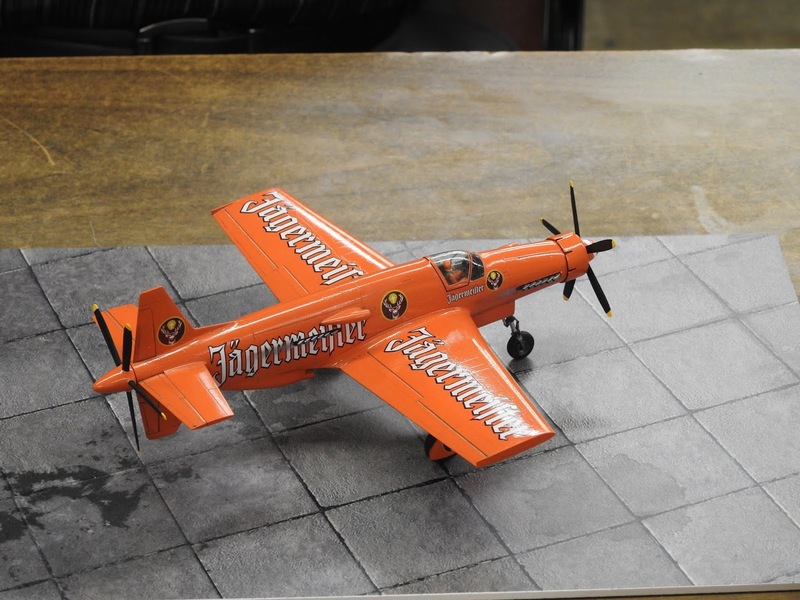 The model has resin cockpit, gun bays, and engine. Bruce O'Gorman - 1/72nd scale Apollo 27 Chattanooga group build. This painted and marked as first Klingon warp capable vessel "Qin Vagh", Klingon for multi-pointed spear head. "Rusted and Busted" 1930 Ford coupe. 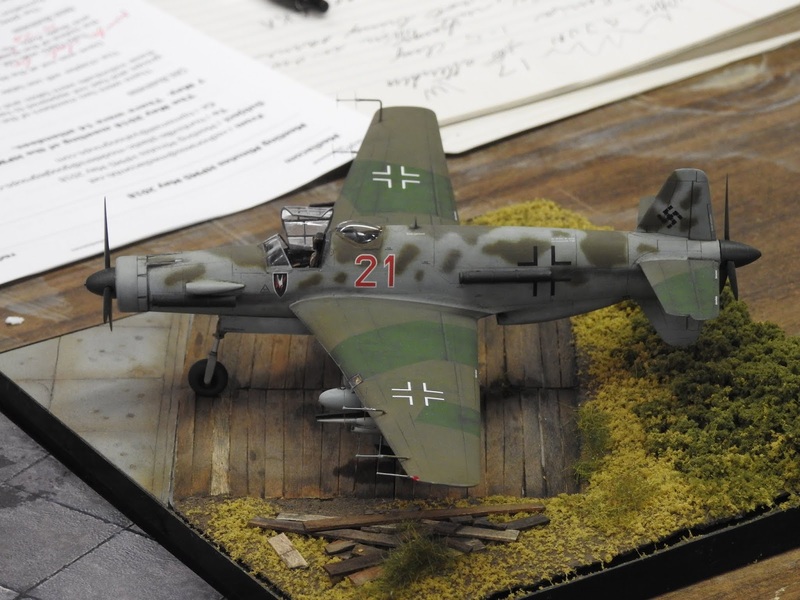 This model was entered in the Anniston model show in April and took a first place in the Non-military Diorama category. Alphie Onuszkanycz - 1/35th scale Dragon kits of the M-752 Lance missile tracked launcher, M-727 Hawk missile tracked launcher, and the MIM-23 Hawk missile towed launcher. Andy Brezinski - 1/48th scale Hesagawa F-4S Phantom II, 1/25th scale AMT 1967 Shellby GT-350 Cobra car kit, and 1/72nd scale Cessna 172 on floats. Martin Burkey - 1/350 scale Luna space ship with Tamiya 1/350th scale ship figures modified to represent astronauts; 3D printed Romulon spaceship detailed with foil, candy, and small window decals; Dinsta spaceship from 'Space Angel'.